We’d love your help. Let us know what’s wrong with this preview of Yoga by B.K.S. Iyengar. 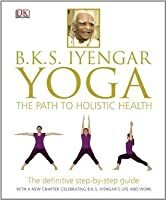 Fully illustrated throughout with unique 360-degree views of classic Iyengar asanas, B.K.S. Iyengar Yoga: The Path to Holistic Health includes a 20-week course introducing begi B.K.S. 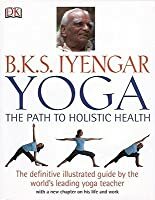 Iyengar Yoga: The Path to Holistic Health covers the complete teachings of BKS Iyengar for mind, body, and health, and is suitable for every level of yoga ability, age, and physical condition. The best part of this book is the "360 degree" photographs of each pose. Being able to see a pose from a variety of angles is incredibly helpful. Great book for showing you exactly how to get into the pose. Each pose is shown in progressive shots so you can really see how to make the pose work for you. He has a 20 week progressive sequences of poses which is great for beginners. A perfect book for anyone wanting to learn yoga poses. I especially liked the one sheet translation of sans skirt and English names for the poses. 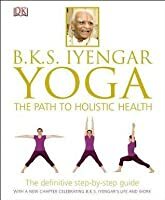 Biographical information about Iyengar as well as basic information on tenets of Yoga is also in this book. I want to Great book for showing you exactly how to get into the pose. Each pose is shown in progressive shots so you can really see how to make the pose work for you. He has a 20 week progressive sequences of poses which is great for beginners. 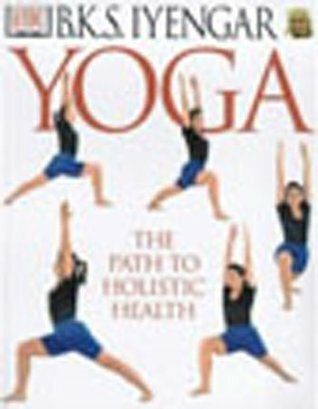 A perfect book for anyone wanting to learn yoga poses. I especially liked the one sheet translation of sans skirt and English names for the poses. It's an introduction to Iyengar Yoga and a reference book, so while I've had it for two years, I've only recently attempted reading it, rather than looking up poses. I would reccommend it (and Iyengar Yoga) to anyone, but particularly if you have physical ailments, or are overweight, it's a very accesable style of yoga- not like a gym yoga workout. It's helpful to read the introduction and go to an Iyengar Yoga class, to make sure you're doing poses correctly. This was very helpful. It detailed technique and explained the multiple variations of the poses and What Not To Do. The back of the book was especially helpful in that it pin pointed specific ailments (i.e. Migraine, Heart Attack, back pain, anorexia, you name it) and their specific treatment. I recommend this wholeheartedly to anyone wishing to educate themselves on holistic cures using yoga. This hefty book is a more accessible (though much larger! :)) version of Iyengar's Light On Yoga. Best are the 360 degree illustrations of each asana (pose). Packed with great information on the core hatha yoga asanas, plus yoga with props, yoga for ailments and conditions, and what sequence to follow when building your own routines. Quite possibly the best hatha yoga book out there. I gotta say... this is the "Holy Grail" for anyone interested in a home practice grounded in the Iyengar method. What this book has to offer that many others don't is many many many pictorial sequences. Definitely a plus if you're used to flipping all around other yoga books to create a sequence. This one has a ton! My go-to book for natural healing from ailments. Packed with picture guides to break down poses, yoga with props and routines based on ailments. A must have go-to guide for any practicing yogi. Not a book you ever really "finish." I took it from the library to check some poses and see if there were some new ideas for my yoga practice :) There were! I recommend books like this ONLY IF you already do Iyengar yoga and already know how to do the poses - and having learned them from well-trained sources/teachers! You can hurt yourself doing yoga!! the 360 breakdown of the poses was really helpful!!! loved it!!! breaks down the staple poses so you know how each of your body parts should be participating. it also offers modifications of those staple poses to make them accessible for beginners. iyengar yoga at its best. Excellent resource for fragile practioners. I found this book at a used book store about three years ago and bought it thinking I would read it when I had time. What a find! It is a treasure trouve of information from the yoga master himself. Each pose is carefully broken down and includes benefits and contraindications, different modifications, and a little history. This is a "must have" for any yoga teacher's library. I think I will be going back to this book over and over again. The introduction read like gobbledygook, probably partially because the concepts translated from Sanskrit were not translated in a way that made them comprehensible for me as an English speaker. The bulk of the book contains explanations of postures, but I found the majority of them either inaccessible for beginners or requiring props that I don't have. I didn't read all of this, but what I did read was interesting and helpful for breaking down the asanas step by step and deepening my practice. Excellent book for modifications and making yoga accessible to everyone. This is a huge coffee table book, but I'm glad I read it. I've been doing Iyengar yoga for about 2 years now and enjoy it more than any other style of yoga. 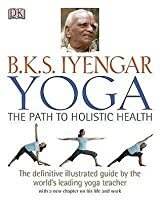 This book explains the philosophy of Iyengar, as well as each individual pose and what ailment it's good or bad for. It also teaches you how to do a home practice, which I need to start doing. Long book, fascinating read. i grabbed this off the 'new year's resolution' shelf at the front of the bookstore the other day. it seemed the one and only book that didn't scream "please feel bad about yourself and buy this diet book!". the photos look amazing and although i know i can't get into all of those positions right now i'm excited to try! A wonderful guide for everyday yoga practice. A mix of ancient yogic philosophy, guidance through 20 classic foundational poses chosen by Iyengar, theory and practice of guided yoga uses tools, blocks, etc cumulating in a simple to follow 20 week program for beginners or anyone! Iyengar speaks and teaches as if he were born to be the one to unveil the life of a yogi directly to you. Brilliant. Superb so far. It's nice to learn the history of the man who brought yoga to the western world. His journey causes me to feel such humility, and I only hope that I will live a life that is half as magnificent and simple as Iyengar has. A very beautiful hardcover book with large photos of poses. The selection of poses are limited, although their variations are not. There is a huge chunk at the back that details the use of props to help get the therapeutic effects of certain yoga poses. This book seems to be written more for the beginners though. This is a must have book for those practicing yoga. 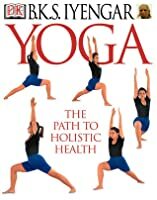 It is the ultimate reference guide on alignment, poses and iyengar way of yoga. I keep going back to it to check the proper form of a pose. It is a great reference tool. I have never read this book cover to cover but I have used it as a reference and it is an amazing book for Iyengar students. Very specific illustrations of poses. Great reference. Will review this in 6 mo to year. appendix has series of poses for beginners, a 10 week plan. Bellur Krishnamachar Sundararaja Iyengar (Kannada: ಬೆಳಳೂರ ಕೃಷಣಮಾಚಾರ ಸುಂದರರಾಜ ಐಯಂಗಾರ), (also known as Yogacharya B.K.S. Iyengar) (Born December 14, 1918 in Bellur, Kolar District, Karnataka, India) is the founder of Iyengar Yoga. He is considered one of the foremost yoga teachers in the world and has been practicing and teaching yoga for more than 75 years. He has written many books on yogic practi Bellur Krishnamachar Sundararaja Iyengar (Kannada: ಬೆಳ್ಳೂರ್ ಕೃಷ್ಣಮಾಚಾರ್ ಸುಂದರರಾಜ ಐಯಂಗಾರ್), (also known as Yogacharya B.K.S. Iyengar) (Born December 14, 1918 in Bellur, Kolar District, Karnataka, India) is the founder of Iyengar Yoga. He is considered one of the foremost yoga teachers in the world and has been practicing and teaching yoga for more than 75 years. He has written many books on yogic practice and philosophy, and is best known for his books Light on Yoga, Light on Pranayama, and Light on the Yoga Sutras of Patanjali. He has also written several definitive yoga texts. Iyengar yoga centers are located throughout the world, and it is believed that millions of students practice Iyengar Yoga. He was awarded the Padma Shri in 1991, and the Padma Bhushan in 2002. B.K.S. Iyengar was born into a poor Hebbar Iyengar family. He had a difficult childhood. Iyengar's home village of Belur, Karnataka, India, was in the grips of the influenza pandemic at the time of his birth, leaving him sickly and weak. Iyengar's father died when he was 9 years old, and he continued to suffer from a variety of maladies in childhood, including malaria, tuberculosis, typhoid fever, and general malnutrition. At the age of 15 Iyengar went to live with his brother-in-law, the well-known yogi, Sri Tirumalai Krishnamacharya in Mysore. There, Iyengar began to learn asana practice, which steadily improved his health. Soon he overcame his childhood weaknesses. With the encouragement of Krishnamacharya, Iyengar moved to Pune to teach yoga in 1937. There his practice developed as he spent many hours each day learning and experimenting in various techniques. As his methods improved, the number of students at his classes increased and his fame spread. In Pune, his brothers introduced him to Ramamani, whom he married in 1943. In 1952, Iyengar met and befriended the famous violinist Yehudi Menuhin. Menuhin arranged for Iyengar to teach abroad in London, Switzerland, Paris and elsewhere. This was the first time that many Westerners had been exposed to yoga, and the practice slowly became well known. The popularity of yoga in the West can in large part be attributed to Iyengar. In 1966, "Light on Yoga," was published. It gradually became an international best-seller and was translated into 17 languages. Often called “the bible of yoga,” it succeeded in making yoga well known throughout the globe. This was later followed by titles on pranayama and various aspects of yoga philosophy. Mr. Iyengar has authored 14 books. In 1975, Iyengar opened the Ramamani Iyengar Memorial Yoga Institute in Pune, in memory of his departed wife. He officially retired from teaching in 1984, but continues to be active in the world of Iyengar Yoga, teaching special classes and writing books. Iyengar's daughter Geeta and son Prashant have gained international acclaim as teachers. Iyengar has been named one of the 100 most influential people in the world by Time Magazine.